BRADFORD and TREMPER families, please review the revised exam schedule below. 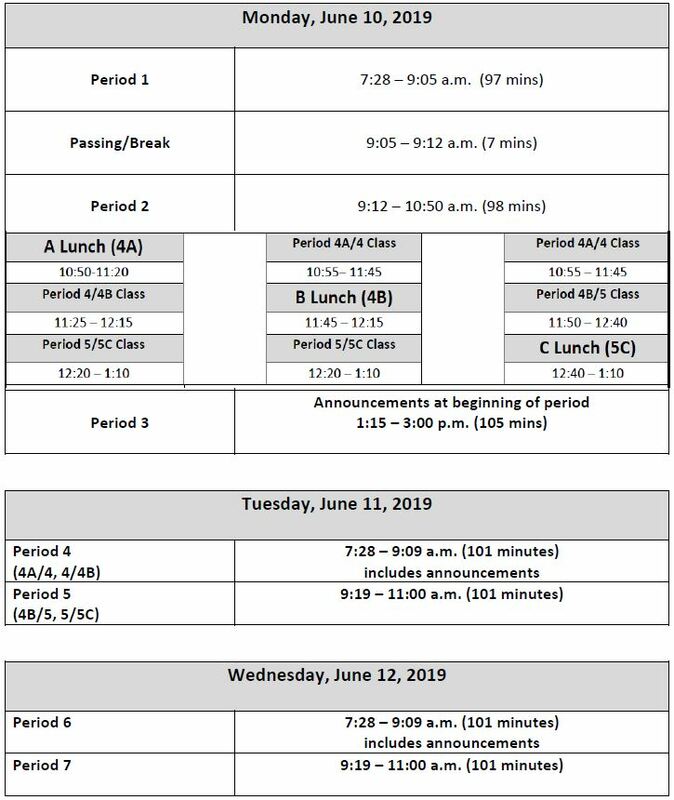 This newly revised exam schedule aligns with the makeup minutes the district had to put in place due to the number of inclement weather days implemented this school year. If you have questions, please contact your school’s office.